Two years have passed since the war, yet without essence the Empire's economy has collapsed. 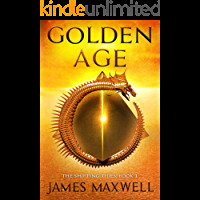 Trade is at a standstill, famine sets in, and, with no food and no essence, the people begin to riot.In the midst of the growing unrest, Miro struggles to balance his life with Amber against his resolve to keep threats to the Empire at bay. His sister, Ella, helps to build the machinery the Empire desperately needs, but she longs to find Killian and believes his powers will be needed in the conflict to come.News of a wedding brings a much-needed ray of hope to the weary people. 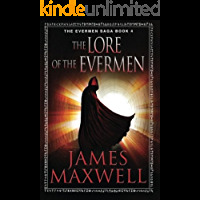 But as citizens and leaders gather from afar for the festivities, an evil threat shatters the fragile peace: one of the Evermen has returned. 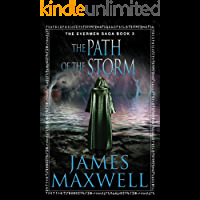 And he will not rest until he has completely destroyed the humans he despises.This is the third book in the epic Evermen Saga. The Lord of the Night is coming. The future of civilization is at stake.Miro is in the Imperial capital to prepare the Empire for the onslaught. He knows his homeland lies directly in the enemy's path but struggles to form the alliances he needs.As the high lords bicker, Ella seeks Killian's help. But, amid the growing tensions, their responsibilities drive them apart, as Killian can't be seen to favor Ella's homeland.Against a backdrop of old hurts, guilty secrets, and shaky new allegiances, people of all nations and abilities must learn to trust one another again, and form a united front against a powerful enemy intent on destroying them once and for all.This is the fourth book in the epic Evermen Saga. 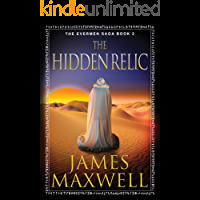 The first book in an epic fantasy series by James Maxwell, author of the bestselling Evermen Saga.War is coming to Xanthos. The king refuses to face the truth, but his overlooked second son, Dion, can see the signs: strange warships patrolling, rumors of a new tyrant across the sea, and the princess of a neighboring land taken hostage...The princess, Chloe, refuses to be a helpless pawn in this clash of nations. 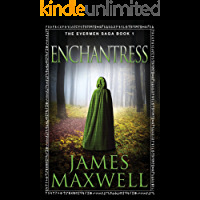 She and Dion will need allies to turn the tide of war - and there are none more powerful than the eldren, a mysterious race of shapeshifters who live in the Wilds.As a world-spanning conflict begins, a king is betrayed, a prophecy is fulfilled, and Dion learns a secret about his past that changes his life forever.